Prosper Candles empower women who are one step out of crisis, including incarceration, addiction, and homelessness. As a ministry of Dallas Christian Women's Job Corps, we exist to make products that share love and hope while providing life skills and opportunities for women. We take great pride in our process. We host three pouring classes each year. A small group of women assembles with the common desire to be equipped with practical skills and encouraged by Christian community. Each cohort of women selects their signature scent and engages in a creative process to name the line. From there, an artist takes the group's input to create the packaging to reflect who made the product. Each time you purchase a candle, you are offering dignity and beauty to a group of women. 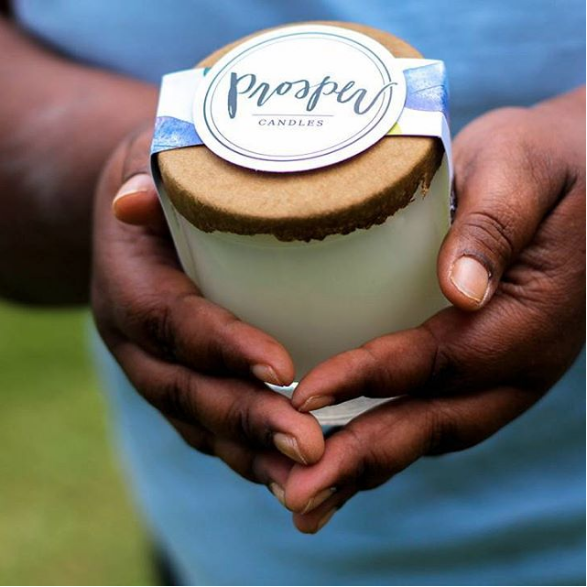 Additionally, all proceeds of Prosper Candles benefit the ministry and directly invest in giving hope and a future for the next group of women.